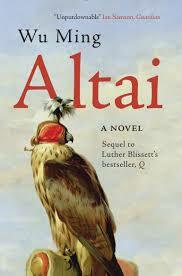 The latest addition to my website is Wu Ming‘s Altai (Altai) . This is another exciting tale from Wu Ming, this one set in sixteenth century Venice and Constantinople. Our hero is Emanuele De Zante. He was born in Ragusa (now Dubrovnik) of a Jewish mother and an Italian father. He has managed to conceal his Jewish origins and, as a result, become chief of the Venetian Secret Service. When there is an explosion in the Arsenal, his boss wants a Jewish culprit and he discovers that his origins are now known and he is to be arrested. He manages to flee to Constantinople, where a rich Jew, Giuseppe Nasi, helps him but uses his spying skills. Nasi has helped persecuted Jews all over Europe but now wants to set up a Jewish homeland but not in Palestine. He has identified a place but it is controlled by Venice. So all he needs to do is get the Ottomans to go to war. Blood, gore, death, dirty politics, swashbuckling deeds, all are grist to Wu Ming’s tale in this exciting story. 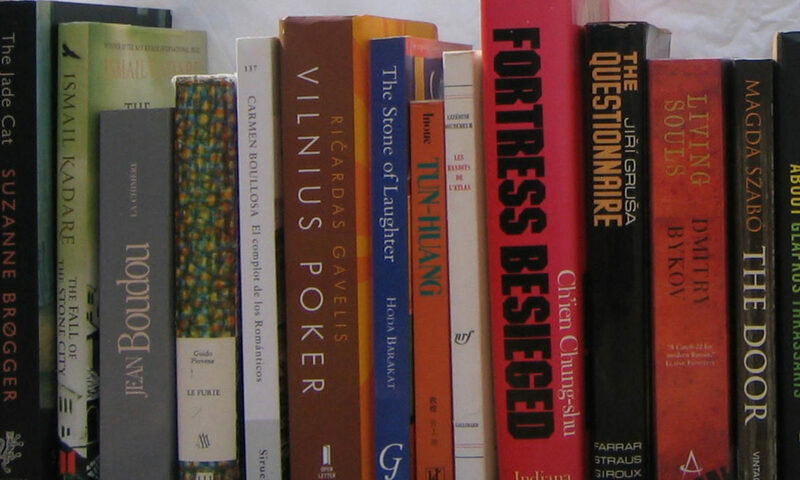 The latest addition to my website is Wu Ming‘s 54 (54). 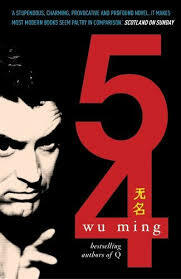 Wu Ming is an Italian collective (five men) and this novel is as the title tells us, set primarily in 1954. It tells several separate stories, featuring real and fictitious characters, which intersect in unexpected ways at various points. Part of it is based on the West’s relationship with Tito’s Yugoslavia. However, there is as story featuring Cary Grant, one featuring General Serov, head of the KGB and another featuring Lucky Luciano, the Italian-American gangster, who had been deported to Italy and who continues his drug-running activities in Italy. At the same time, we are following a group of men who live in Bologna, who had in some cases been involved with the anti-Fascist partisans and who are now primarily communist and opposed to the Italian government. All these stories are lively, colourful and action-packed, with both humour and a bit of pathos, and they all merge, together with the story of a talking thinking TV. It may be a collective novel but it does work. The latest addition to my website is Claudio Magris‘ Non luogo a procedere (Blameless). This novel continues Magris’ favourite theme of man’s inhumanity to his fellow man. The unnamed protagonist has collected a mass of material relating to war, with a view to establishing a museum in Trieste. Sadly, at the start of the novel he has died in a fire and only now is the museum being set up, by Luisa Brooks, who has a Jewish mother and an African-American father. We see the exhibits, hear a lot of stories (generally based on historical events) about the horrors of war, particularly but by no means only World War II, follow the story of Luisa and her family and of the unnamed protagonist and learn of key documents which have gone missing, which show those Italians who helped the Nazis but who have managed to not only survive but prosper. Magris makes no bones about his views and illustrates them with a host of fascinating stories about war and its horrors. 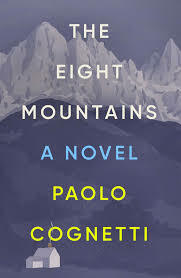 The latest addition to my website is Paolo Cognetti‘s Le otto montagne (The Eight Mountains), which won the prestigious Strega Prize in Italy. It tells the story of Pietro, only child of two mountain lovers. His father, in particular, is very keen on climbing at high altitudes in the Italian Alps and Pietro gets the bug. His mother, who prefers the lower reaches, persuades the father to rent a small cottage in Grana and the father and then, when he is older, Pietro go up the mountains. It is in Grana that Pietro meets Bruno, a boy of his own age and they become lifelong friends. Bruno is a mountain man and their close relationship helps Pietro develop his love of mountains. There is a falling-out between father and son, and between the friends when Pietro becomes a teenager but Pietro rediscovers his love of mountains with the help of Bruno. 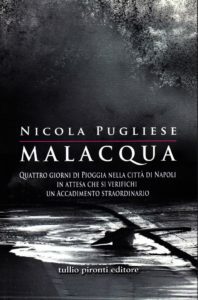 The latest addition to my website is Nicola Pugliese‘s Malacqua (Malacqua). It tells a story of Naples over four days when it rains continually and heavily. While this could have been a straightforward catastrophe novel, Pugleise’s superb writing gives it an aura of a religious apocalypse, with cars disappearing into a chasm, a haunting screeching noise which turns out to be coming from a doll, with other identical dolls found at other catastrophe locations, and a house collapsing, killing the inhabitants. All the while we follow a journalist, a passive observer, as much concerned with his own issues as with the rain, we also follow a succession of other characters, all of whom seem to be living in a strange world of their own. 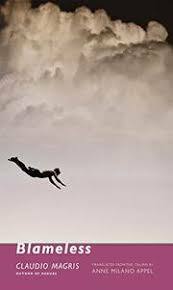 It is a brilliant and very original novel, Pugliese’s only novel, and we must be grateful to And Other Stories that it now appears in English. Already – yes, early November – in the Spectator’s Best Books of the Year, Anna Aslanyan describes it as this year’s strangest and most seductive book. I can only agree with her. 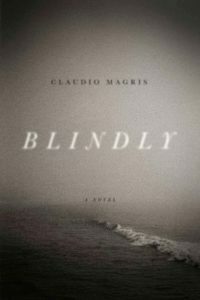 The latest addition to my website is Claudio Magris‘ Alla cieca (Blindly). This is another highly inventive work from Magris, telling the story of man who thinks he is two different people – the fictitious Salvatore Cippico (born 1910) and the very real Jørgen Jørgensen (born 1780). Salvatore is recounting his tale to a psychiatrist in Trieste. He has fought for the Communists in Australia, Italy, Spain and Yugoslavia and has been imprisoned for his beliefs in all but Spain. Jørgen helped found Hobart but was later sent there as a convict and, in between, was briefly King of Iceland, served time in Newgate prison and fought at the Battle of Waterloo. Both had highly colourful lives, made more colourful by the two lives being conflated in Salvatore’s account, which is long, verbose and often confused. It is a wonderful tale, more in the realm of legend than history but the better for it. 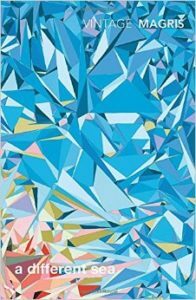 The latest addition to my website is Claudio Magris‘ Un altro mare (A Different Sea). This novel tells the story of the very real Enrico Mreule. He is friends with two other young men, including the philosopher Carlo Michelstaedter, in Gorizia, then part of the Austro-Hungarian Empire. The three friends spend their time discussing philosophy and the classics. But, in 1909, Enrico emigrates to Patagonia, where he lives an ascetic and solitary life. He returns to a much-changed world in 1922, partially because of his scurvy but partially because of Carlo’s suicide. Carlo has essentially passed his mantle on to Enrico. Back in what is now Italy, Enrico keeps his ascetic life style and moves out to the coast to a village in Yugoslavia. He continues his solitary and ascetic life, even after World War II and the advent of Communism in Yugoslavia. It is a very interesting story about a man who is not part of the modern world but lives in his own world of philosophy and the classics. The latest addition to my website is Claudio Magris‘ Danubio (Danube). This is not really a novel, though Magris himself calls it a drowned novel, and the introduction to my Italian edition calls it part novel/part non-fiction. 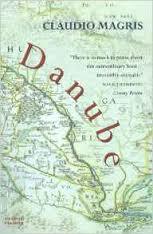 It describes a journey from the source of the Danube (which is disputed) to its outlet in the Black Sea (also disputed) and also discusses the division between the Upper and Lower Danube (also disputed). It also discusses Strauss’ contention that the Danube is blue (not true and not invented by Strauss, either). However, what makes this book a classic of modern European literature is Magris’ brilliant discussion of and ruminations on the culture, history, literature, politics and habits of the people who live, fight and write around the Danube. 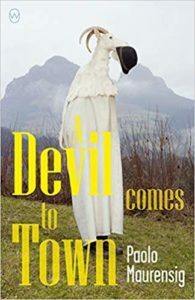 The novel is full of stories about individuals, dead and alive, but also ruminations and discussion on major philosophical, literary and political questions, from the Holocaust to what makes a good work of literature. It is a superb book which not only will you not fail to enjoy but from which you will learn a lot you did not know about the history, literature and people of Mitteleuropa. 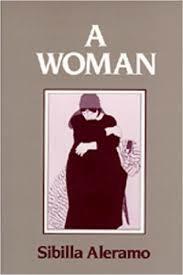 The latest addition to my website is Sibilla Aleramo‘s Una donna (A Woman at Bay; later: A Woman). This is an early Italian feminist literary autobiographical novel, written nearly a hundred years before Elena Ferrante. The narrator tells of her upbringing in a house with a dominant and, at times, bullying father, whom she dearly loves, and a mother with severe mental problems. When she is older, the narrator goes to work in the office of the factory her father manages. While there, she gets to know a male colleague who is clearly attracted to her and eventually rapes her. As a result, she feels that she has to marry him and, though they do have a son, the marriage remains unhappy, not least because he does not have her intellectual interests. She goes to work in Milan for a feminist magazine and becomes involved in the early Italian feminist movement. What makes this book so worthwhile is her deep self-analysis and her analysis of the poor position of women in Italy. And, yes, I thought it was a better book than Ferrante but Aleramo would have undoubtedly considered Ferrante a worthy successor.